List of South Carolina schools offering degree programs in nursing, RN-to-BSN, RN-to-MSN, LPN, CNA, and more. South Carolina, the Palmetto State, is a major summer vacation spot, both for its miles of gorgeous beaches and historic parks. Charleston attracts locals who want city conveniences and vacationers who want Old South charms. Registered nurses will enjoy lower property taxes, while making an average of $51,000 a year. 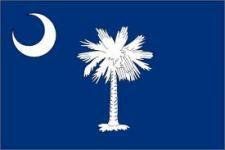 Find free information on South Carolina nursing schools below!